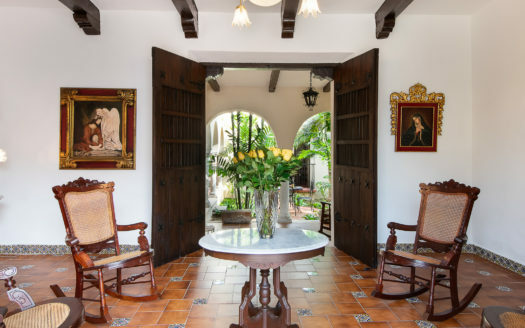 The lovely Casa Linda del Pozo is a newly remodeled Colonial in the heart of Merida’s historic center. 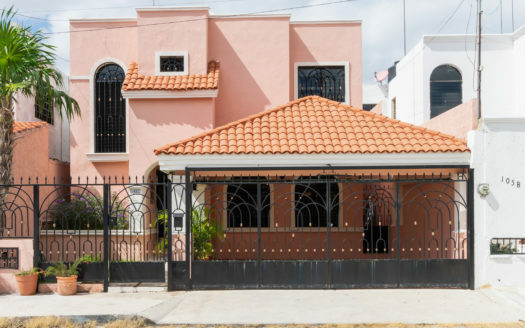 This three bedroom/ four and a half bathroom home is located only a short walk to Santa Lucia and the Paseo de Montejo and is the perfect balance between modern and Colonial. All of the main living areas of the house are set well back off the street which eliminates all city traffic sounds. 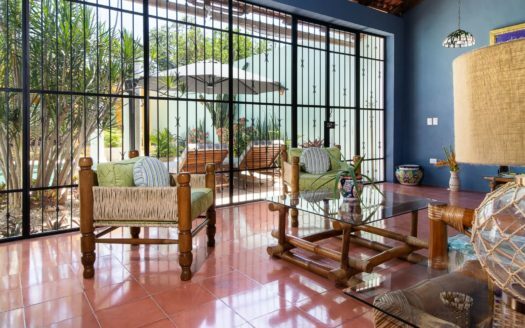 The home is spacious and has every bonus feature to make your vacation stay memorable and comfortable. Enjoy cooking in the huge, well-equipped kitchen or on the rooftop deck’s built in bbq. There are many seating/lounging areas, some just right for your entire group and various smaller, more intimate spots, perfect for napping or reading a good book. Each spacious bedroom has a king-sized, custom designed iron bed, private bathroom, closets and private terrace. The bedrooms as well as the living areas are air conditioned and lots of comfortable seating is provided throughout the house. The pool is huge and unique with its Mayan pyramid water feature. 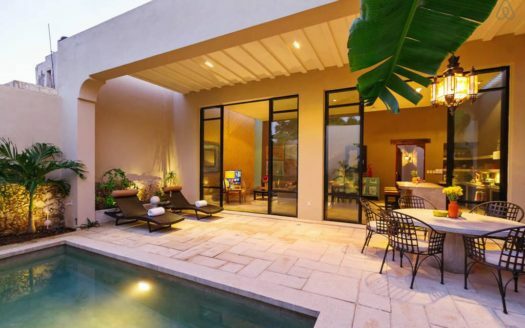 It is set in the midst of a very large landscaped garden full of tropical plants. Large old trees shade much of the garden and there is a wonderful balance of shade and sun to give everyone in your party the perfect spot to relax. The bonus office area, a bit removed from the rest of the house for privacy and with its own bathroom, has a desk with modem for those who need to stay in touch with the office while on vacation. There is also a queen-sized sofa bed in the office for extra over-night guests. The final enticement is that rare amenity in Centro, a garage. But not one of those tiny, narrow garages! This is a huge garage/parking area where there is plenty of room to drive straight in, turn the car around and head back onto the street without backing into on-coming traffic! Come soon to visit, to see the sights, to relax, to enjoy!